Whether you are new to golfing or a seasoned golfer, there is general information and helpful rules for most golf courses that you should know. Knowing some general information and rules for golf courses will help you feel as confident as an avid golfer, even if you are new to the game. Myrtle Beach, SC is home to a wealth of top-notch golf courses that attracts visitors from around the world. Many of these terrific golf courses are open to the public and offer breathtaking views of the natural beauty of South Carolina. When you are on the Internet checking out fabulous Myrtle Beach golf courses, be sure to check the maintenance schedule. Myrtle Beach golf courses are painstakingly maintained to provide you with the best golfing experience possible. Between the months of May and September, some Myrtle Beach golf courses are being aerated, sanded or over-seeded so check with individual course when you are planning your next Myrtle Beach vacation. When you arrive at one of the renowned Myrtle Beach golf courses, head on over to the pro shop where you can check in and provide them with any tickets, discounts or vouchers you plan to use that day. Myrtle Beach golf courses are in high demand and often book up quickly. You and your group should plan to arrive 20 minutes early for your scheduled tee time to avoid being late and running the risk of losing your tee time and incurring charges. 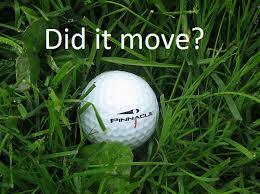 If you are running late for your scheduled tee time, please call the golf course as soon as possible. Keep in mind that most Myrtle Beach golf courses “double tee.” This means that they start golfers on both the #1 hole and #10 hole from around 7:00 a.m. to approximately 9:30 a.m. and they begin to “double tee” again at noon. If you need cancel, make changes to your scheduled tee time or the number of golfers in your group; call your Myrtle Beach golf course or golf director at least 24 hours in advance. Be sure to inquire if there will be any fees associated with your cancellation or change. Most Myrtle Beach golf courses allow up to four golfers per group. If you have less than four members in your party, some Myrtle Beach golf courses will schedule other golfers to play with your group. When you and your group are golfing at a Myrtle Beach golf course, please remember to use “soft spikes” and be dressed in proper attire. No tank tops, short shorts or blue jeans are permitted at Myrtle Beach golf courses. Golf carts are required at many of the Myrtle Beach golf courses. You will be able to rent a golf cart at the golf course if a golf cart was not included in your package. You and your group of golfing enthusiasts may wish to replay the course. To guarantee your chance to replay, contact the Myrtle Beach golf course and schedule your replay in advance. You can also try to book your replay at the Myrtle Beach golf course for a discounted rate on the same day. Keep in mind that even along the sunny Grand Strand, a rainy day happens here and there. Call the Myrtle Beach golf course you are scheduled to play at to inquire about the weather and document the name of the staff member you spoke with. You will be offered a rain check if the Myrtle Beach golf course is closed. Whether you are new to golfing or a seasoned golfer, there is general information and helpful rules for most golf courses that you should know.